I have not seen them because the state outlawed them. Problem solved. I would allow the second -- it meets (from the picture) the rule requirements. The first does not (logos, size). I have not seen them because the state outlawed them. If the state outlaws protective headbands, then only outlaws will have protective headbands. "However, this equipment may be used to cover lacerations and sutures, if these devices are deemed appropriate within the sport’s playing rules." Is the NFHS passing the buck, forcing state associations, or individual officials, to deem these devices appropriate (as in 3.5 SITUATION A)? I don't read it that way. They are saying "if the band meets the sport's requirements on size, material, logos, color, etc., then go ahead and wear it. If not, then don't." Basketball falls in the latter category. I personally believe that these items are appropriate for basketball, but I don't think that the NFHS is saying that. They aren't saying that they are appropriate for basketball. They aren't saying that they are appropriate for basketball. ... "this equipment may be used ... if these devices are deemed appropriate within the sport’s playing rules." Please note thre "if" in the statement above. These are the NFHS standards for such equipment (not already ruled legal or illegal) to be legal: Must not be dangerous to others. Must not be unnatural and designed to increase the player’s height or vertical reach, or to gain a competitive advantage. Must be appropriate for basketball and not be confusing. Protective headbands conform to all NFHS standards for equipment to be legal, with the possible exception of one. Are these appropriate for basketball? There is nothing in the standards regarding colors, or logos. The NFHS has deemed that nose protectors and eyeglass protectors are appropriate for basketball, and are not color, or logo, restricted. Again, I believe that these items are appropriate for basketball. Medical professionals agree that such headgear is suitable for preventing fractures, lacerations, and bleeding (but do not prevent concussions). I'm sure that many other intelligent, respected, and esteemed, Forum members don't. And it appears that some state associations (e.g., Illinois) don't. It's time for the NFHS to fish or cut bait. Last edited by BillyMac; Fri Jul 14, 2017 at 05:55pm. 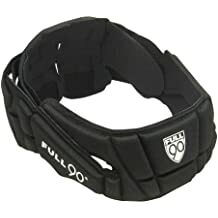 The Full90 headgear is not allowed in an NFHS basketball game under the current rules, unless the player is granted a specific exemption by the state association. The puffy headband of which you also posted a picture does seem to meet the current NFHS basketball rules. Under the following rule, I can't disagree. The key word in the rule is "headwear". The "if" in the NFHS statement "this equipment may be used ... if these devices are deemed appropriate within the sport’s playing rules" makes sense in the application of this rule, leaving it up to the state association, with input and documentation from licensed medical physicians. Head decorations and headwear, except those specified above, are prohibited. EXCEPTION: State associations may on an individual basis permit a player to participate while wearing a head covering if it meets the following criteria: a. For medical or cosmetic reasons – In the event a participant is required by a licensed medical physician to cover his/her head with a covering or wrap, the physician's statement is required before the state association can approve a covering or wrap which is not abrasive, hard or dangerous to any other player and which is attached in such a way it is highly unlikely that it will come off during play. With some states allowing these devices and others not allowing them, I still think that the NFHS need to fish or cut bait. Seems that this version can be legal under normal "headband" restrictions (solid color black, white, beige, or the predominant color of the uniform jersey, nonabrasive and unadorned, maximum of 2 inches) with no need to call it a medical device (even though it really is, suitable for preventing fractures, lacerations, and bleeding). Certainly makes any general statement like "protective headbands are illegal" debatable, since this protective headband is clearly legal (with a blue uniform jersey) under NFHS rules. Last edited by BillyMac; Sat Jul 15, 2017 at 12:26pm. The first headband does NOT meet the basketball rules requirements. AND, since the NFHS medical committee (whatever it was called) says it does not help with concussions, it's not allowed. The secodn headband meets (appears to meet) the basketball requirements. IT would be allowed. Ask you local people. We obviously do not have the answer for you. The second headband meets (appears to meet) the basketball requirements. Good point. I've never actually seen the "puffy" protective headband type, so "appears to meet" is a good statement..
Last edited by BillyMac; Sat Jul 15, 2017 at 12:38pm. This headband is allowed by our local rec league. I think other organizations should adopt its use.